In 2004 Bayview OPC began a partnership with Jerry and Marilyn Farnik, missionaries in the Czech Republic, to provide a team to present the gospel in the form of a summer family camp. The Farniks had found this a successful means of witness for many years; so when Mr. Farnik and his mission work came under the oversight of the Bayview session, the congregation members began to look for ways to help them in their ministry. The entire experience is advertised as an English Camp run by Christians. Families are invited to a hotel/resort for one week to attend classes, go on day trips, enjoy sporting activities, and put on skits and talent shows (of which they are particularly fond). Some people respond because they are Christians desirous of fellowship in a land where there are few Christians, but most are just anxious to learn the English language, and so come with little or no interest in the Word of God. The Czechs are familiar with summer camps, but the concept of a camp where the entire family can participate and enjoy a week together is rare, which makes our format all the more appealing. Because a promise is made to teach the English language, mornings are spent in a traditional classroom setting where students are divided by age and/or speaking ability. It is imperative that we do the best job of which we are capable since this is a reflection of our faith; lesson plans are formed before the team leaves America and are followed closely. Reading lessons are from Scripture and oral discussions revolve around the stories presented in the lessons. It is a tremendous opportunity to present the Word of God, and student response and interaction are usually energetic. Afternoons are spent either in organized day trips, in crafts or sports events, or in animated conversations. 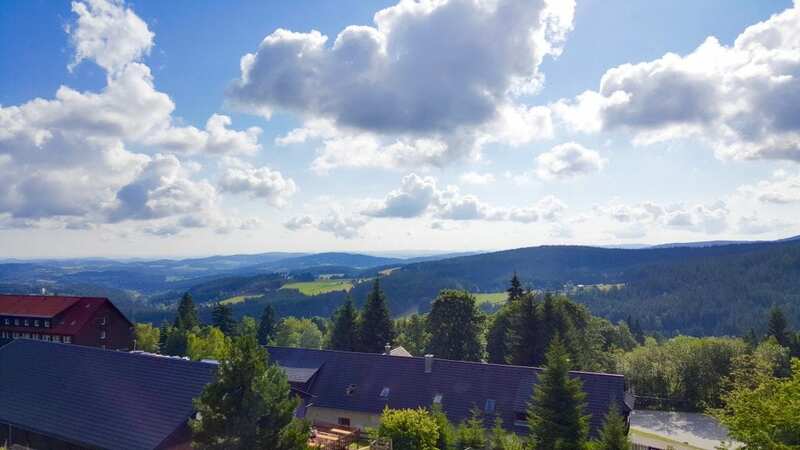 This is not a week for rest, so team members are discouraged from going off alone, or from taking afternoon naps unless they are feeling ill. We are in the Czech Republic for ministry, so we must claim all the time we possibly can for the Lord’s work. Basically, you should be interacting with Czechs at all times. In the evenings the campers are invited to gather for singing and skits followed by a message from Pastor Wagner. Following the evening service Czechs build a bonfire (even if it rains!) around with we share their favorite sausage, busti, and American s’mores. In order to minister to all ages and in such diverse ways, it is important to put together a team to serve with boundless energy in multiple capacities. It is a challenging week both physically and spiritually, so it should not be undertaken without a lot of preparatory prayer. Participation should not be based on the fact that you want to see Europe. You must be reasonably physically fit, willing to put away selfishness, and be strong in the Lord (including membership in an OPC or sister Reformed congregation). You will be asked to do things that are out of your comfort zone, and it will be expected that you will respond willingly “as unto the Lord.” Before you even arrive in the Czech Republic, you will need to spend many hours preparing lessons and gathering supplies. Once you arrive, you should be willing to eat the food that is put before you, and sleep in the accommodations that are provided, while all the while thinking of those around you and not of yourself (that means no grumbling!). Smiles are the order of the day even as the week progresses and fatigue begins to take its toll. We have experienced Satan’s opposition in our efforts to serve the Lord through English Camp. Although difficult to endure, his attacks encourage us in our work. We can expect that when we are diligently serving the Lord, his enemy Satan will be on the lookout for our weaknesses, and usually they come when we are tired, uncomfortable, and in unfamiliar surroundings. It is imperative that all team members be in the Word every day, attend the appointed team prayer meetings, and be watchful for temptation to evil. Pray often with and for each other. It is just as important that we minister to each other as it is that we minister to the Czech campers. If you prayerfully decide that you want to participate in the Bayview English Camp ministry and are within driving distance, you will be expected to attend two planning meetings on the Bayview site in Chula Vista. When the time comes, you may travel to the Czech Republic from the airport nearest you rather than from San Diego, but your flight arrangements must be cleared with the team leader before they are confirmed. You will be expected to pay for your own airline ticket and hotel room during the two-day orientation in Prague as well as for meals. You will need to pay for your camp expenses which will include room and board. And you will be expected to remain in Prague for the weekend after the camp for an evaluation meeting and Sunday worship. You may find family, friends, or your session willing to participate in funding your trip, but it is your responsibility to come up with the money. The team as a whole does no fundraising. Costs vary year-to-year as the value of the dollar fluctuates, and of course your airline fees will vary according to your city of departure; but basically you should set aside about $2500-3000 for the trip (primarily for flight costs). The first planning meeting will be held in January. After that things move very quickly. The trip will actually take place July 10-22, 2019. Many of you will want to extend your trip to see more of Europe, and that is of course fine, but we request that your touring take place after the English Camp rather than before. There are two reasons for this: First, you will be expected to bring a bag of supplies for the camp with your luggage, and second, you need to arrive at camp rested and ready to work hard. Our experience has shown that team members who arrive for camp after having already traveled for a week or two are ready for a rest, not another challenge! So plan your additional travel for after the camp! You will fly into Prague no later than Wednesday afternoon, July 10, where you will be met and escorted to Zbraslav, the town where the Farniks live. In order to coordinate pickup times, as mentioned above, your flight arrangements should be confirmed with the team leader. You will spend two days in Zbraslav getting over your jet-lag, helping to finalize camp arrangements, packing up supplies, and attending orientation meetings. We will travel to the camp site on Friday, where we will spend several hours decorating and preparing for the campers’ arrival on Saturday morning. Camp is officially over for the Czechs the following Saturday. But upon our return to Zbraslav we will help the Farniks unpack the gear and attend one more meeting – this time to evaluate the camp experience and make suggestions for the next year. You will also be expected to stay over Sunday because Czechs from the Prague area are invited during the week of camp to visit a worship service on Sunday morning, July 21, at the church-plant in Modrany (near the Farniks’ home). The team also joins in that service, and we usually have the opportunity to see a few of the campers again, and encourage them to continue to worship with the Farniks in Prague. The Sunday service ends the period of camp-related activity, and you are on your own to explore more of the city, travel elsewhere, and return home. However, Sunday evening dinner will be served by the Farniks and a recorded sermon played in lieu of a Sunday evening service; you will be invited to attend. Now is the time that you need to begin to prayerfully consider your role in this wonderful opportunity for ministry. If you want to join our team or have questions that have not been answered by this letter, please email Sherry or Kathleen, below.